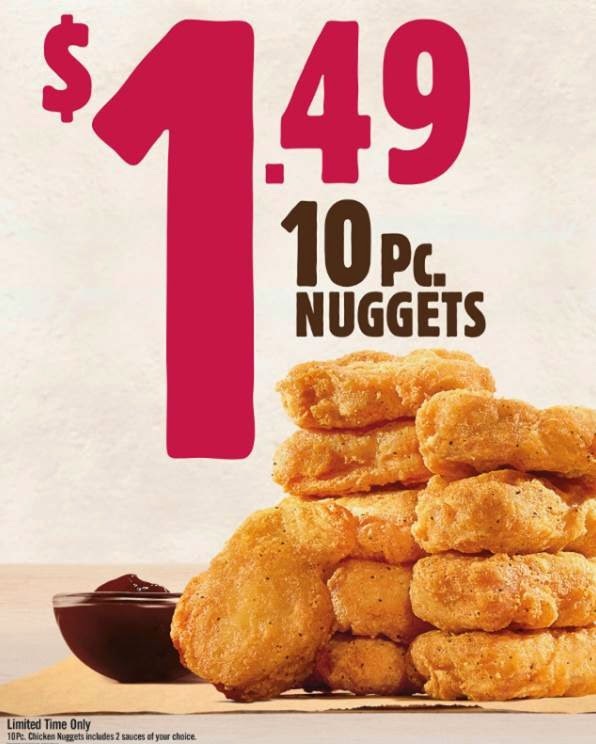 For a limited time only, BURGER KING® 10-piece Chicken Nuggets are available for only $1.49. A great deal for those with a never ending appetite! Made with premium white meat, BURGER KING® Chicken Nuggets are tender and juicy on the inside and crispy on the outside. Battered in a home-style seasoned breading, Chicken Nuggets pair perfectly with any delicious signature BK® dipping sauce including BBQ, Honey Mustard, Ranch, Zesty, Buffalo and Sweet & Sour.